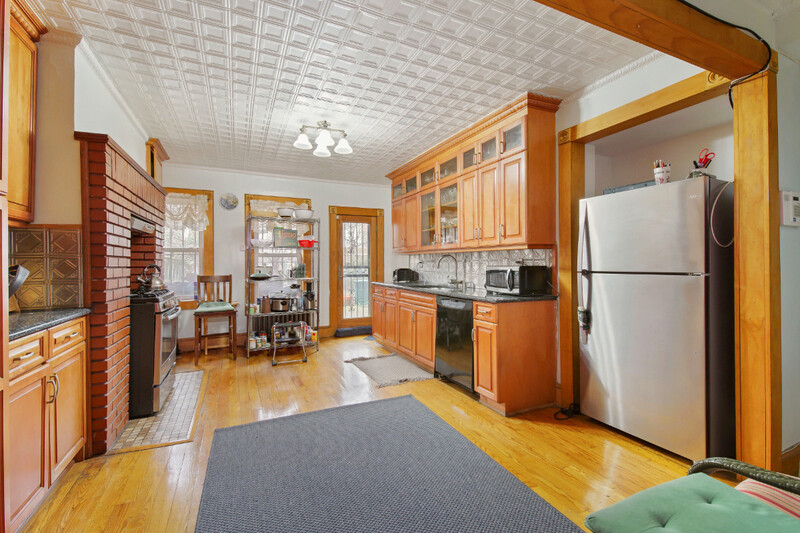 Wonderful circa 1905 single-family brownstone jewel in the coveted Historic District of Prospect Lefferts Gardens! 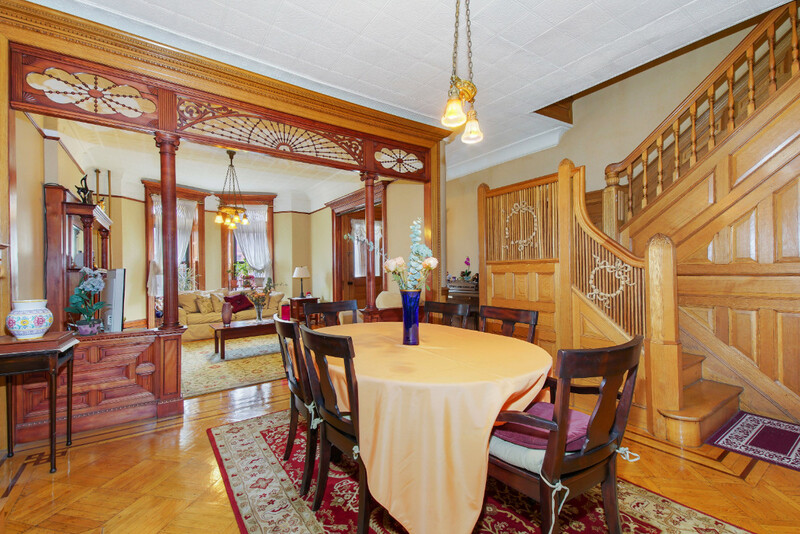 Distinctive architecture and stunning original period details pouring throughout this rare, exceptional home epitomize classic character. 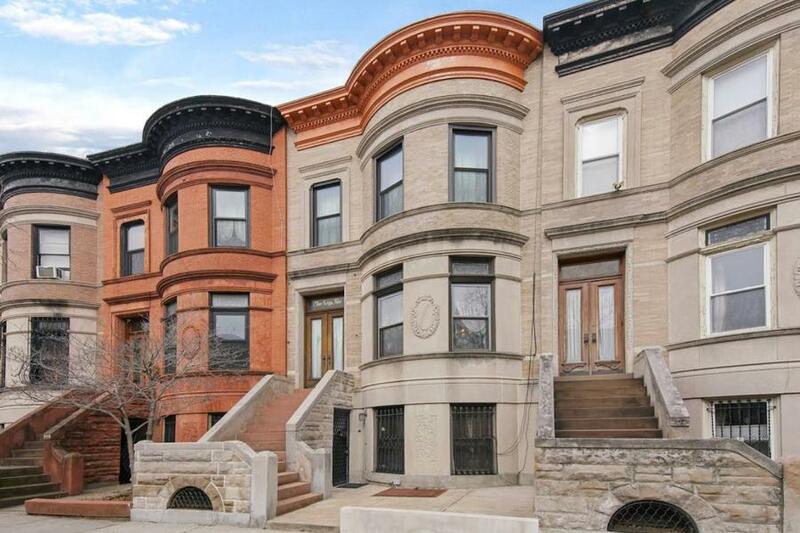 Rich hardwood floors, tasteful moldings, intricate carvings on high airy ceilings, stunning woodwork, wood trim, doors and banisters, stained glass and charming fireplaces enrich this Brooklyn beauty. 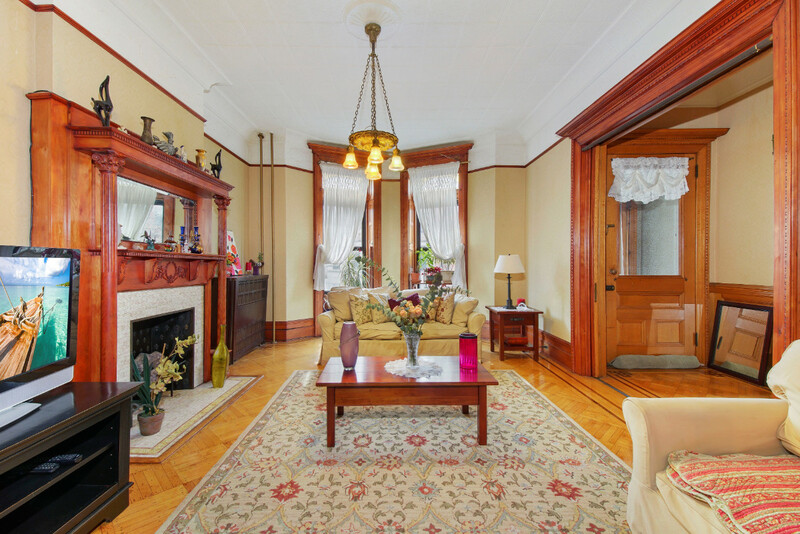 Tall windows invite generous sunlight streaming into both levels. ? 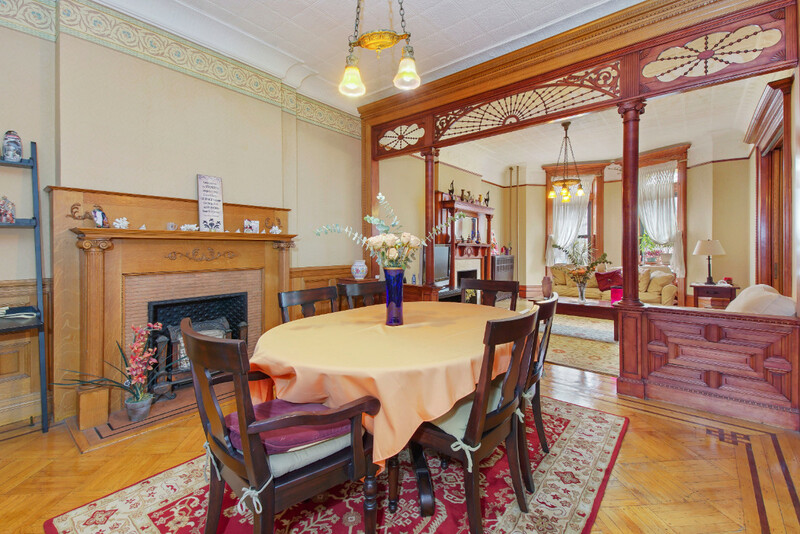 ?Gracious, elegant rooms are generously-proportioned and designed for grand entertaining. Host guests in the exquisitely-designed living room that opens to the adjacent formal dining room, both of which are warmed by fireplaces. 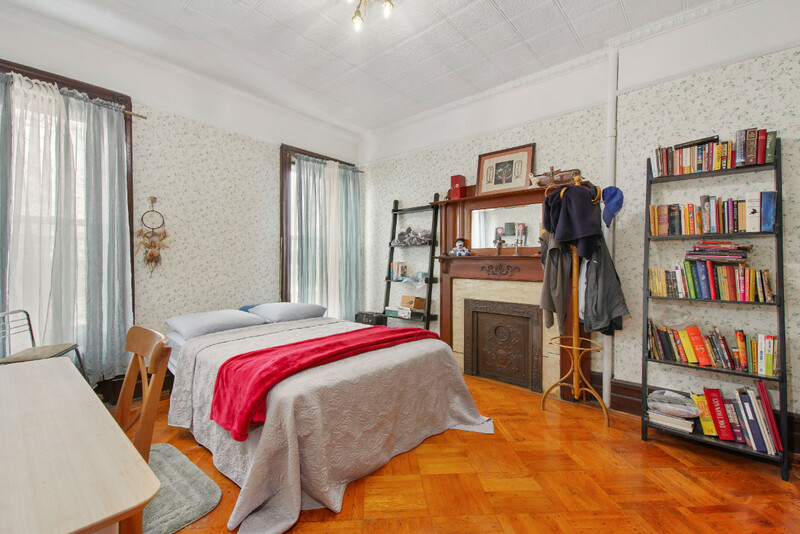 The fabulous kitchen with a tin ceiling, exposed brick, quality cabinetry and top-brand appliances has a roomy pantry, and a sunny eating area that opens out to the bit private rear yard patio and garden. 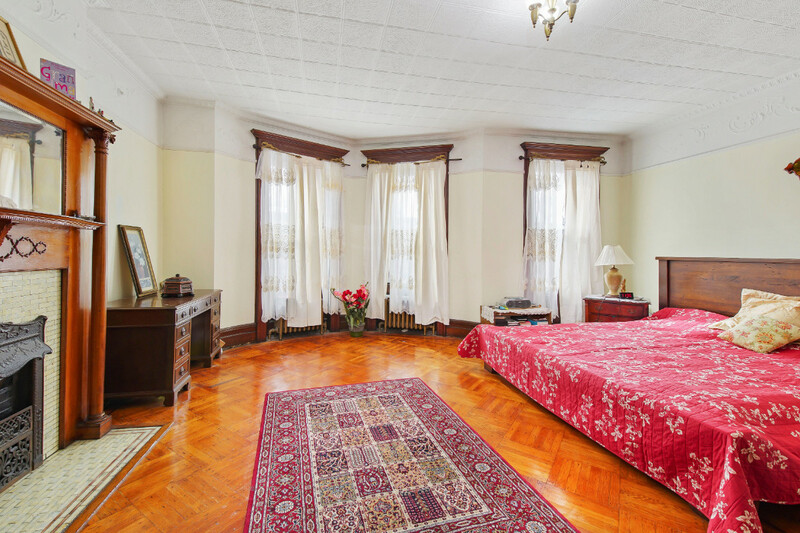 Three spacious bedrooms include a lovely king-size master suite with an ornate fireplace mantle. 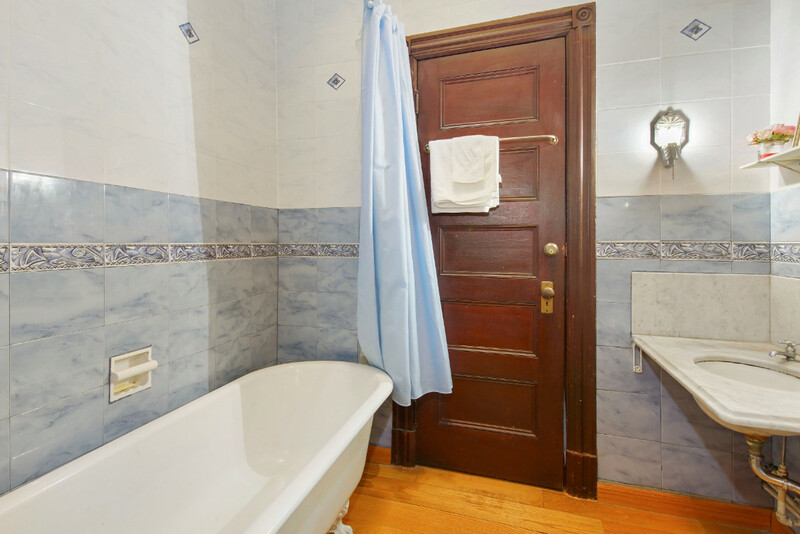 Three full bathrooms, one with a claw-foot tub, and plentiful closet and storage space complete the comfort this special 2,932+/- sq ft home has to offer. 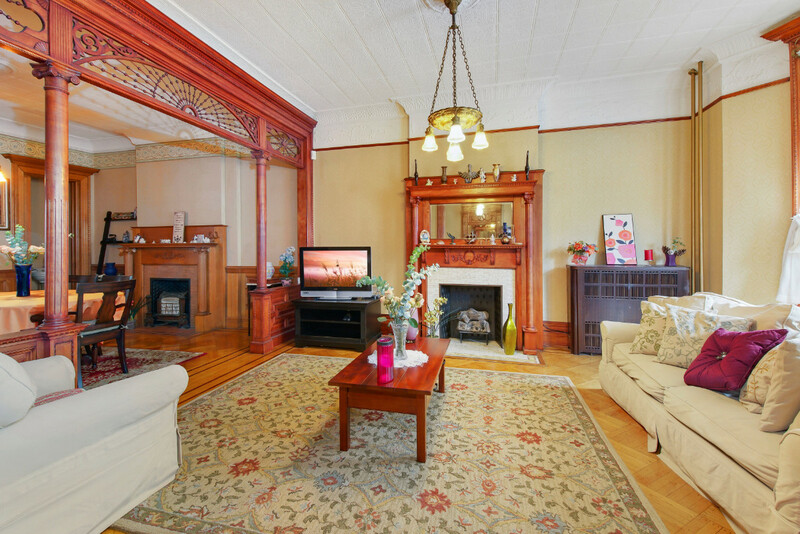 Other highlights are a full basement thats an ideal canvas for a recreation area, media room, gym, etc. 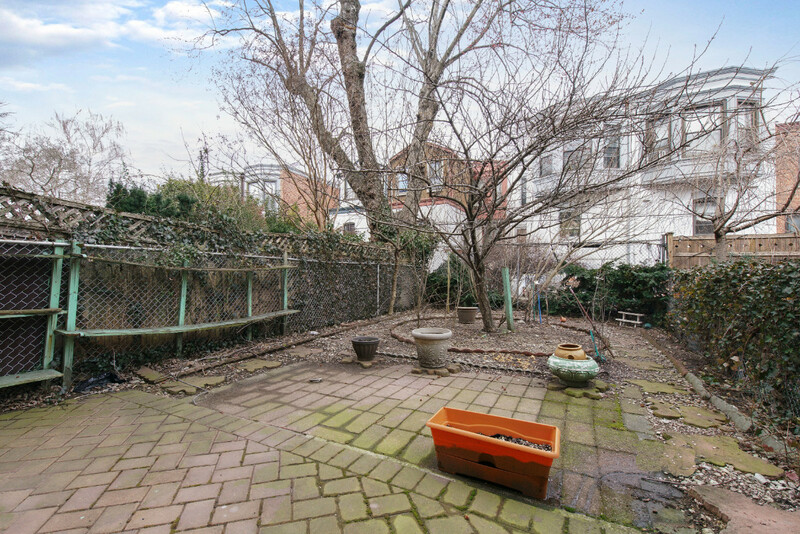 a large laundry room with large-capacity washer and dryer, and solar panels for energy savings. 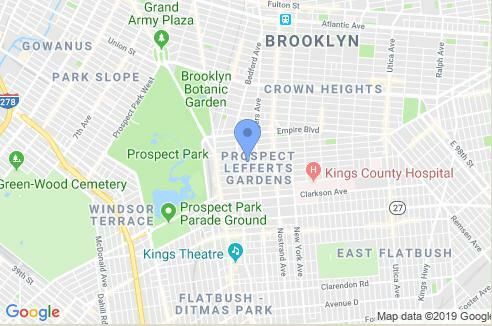 The great location in the Prospect Lefferts Gardens Historic District, on Midwood between Bedford and Rogers Avenues, is mere blocks away from Prospect Park, Brooklyn Botanic Garden, restaurants and cafes, and so much more. Dont miss out on a one of a kind offering!